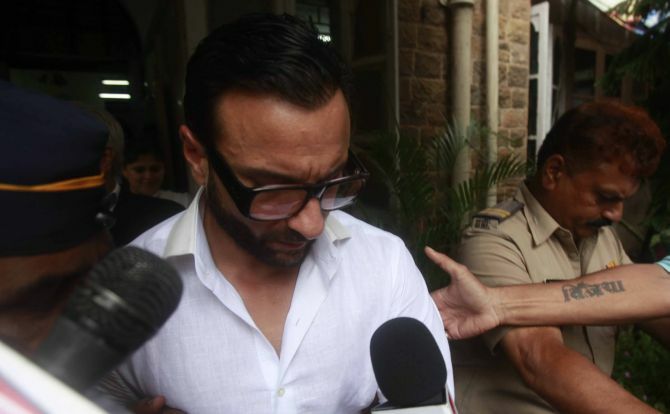 A local court on Thursday referred the 2012 assault case involving Bollywood actor Saif Ali Khan for mediation. “The metropolitan magistrate has referred the case for mediation. Khan has consented to it and also the prosecution side,” public prosecutor Wajid Sheikh told PTI. As of now, complainant Iqbal Sharma has not given his consent for mediation, Sheikh said. Khan was present in the court on Thursday, while Sharma did not turn up. The case is likely to come up next on July 22. Khan and his two friends -- Bilal Amrohi and Shakkel Ladak -- were arrested following a complaint filed by Iqbal Mir Sharma, an NRI businessman, after an alleged fight at a restaurant inside Taj Hotel in Mumbai on February 22, 2012. The three were later released on bail. The court framed charges against them under sections 325 (assault) and 34 (common intention) of Indian Penal Code. They have pled innocence.